Last month, a 66-year-old Japanese tourist was taking a selfie at the Taj Mahal when he tripped down a flight of stairs and died from the resulting injuries. At least 12 people have died so far this year while attempting to take selfies. Of course, it’s not the picture itself that kills, but the dangerous behavior surrounding it. 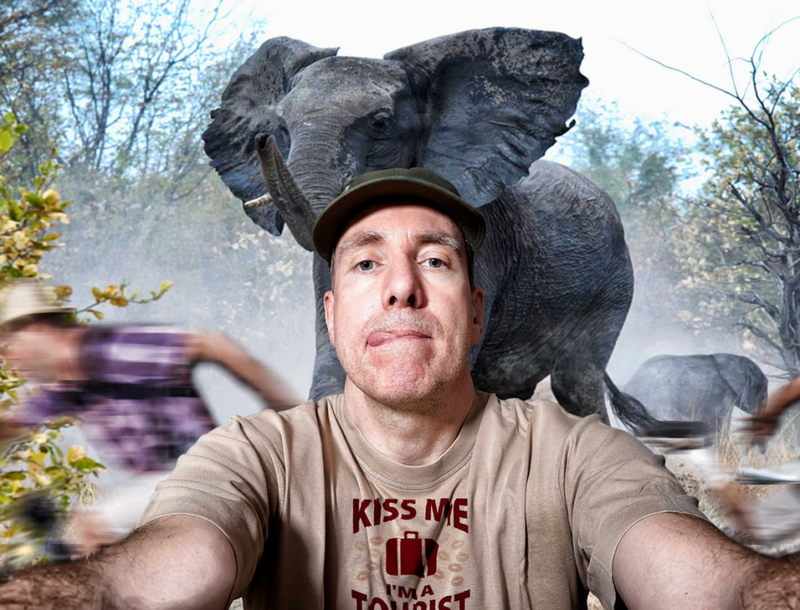 As “extreme selfies” become more popular, too many people are taking unnecessary risks to achieve the perfect picture. The problem has become so acute in Russia that the Interior Ministry has initiated a publicity campaign to educate the public about selfie safety. Here are the situations to avoid, taken from lessons learned the hard way. A surprising number of people have accidentally shot themselves while posing for selfies with loaded guns pointed at their heads. A teenager in Houston died in September while taking selfies with a gun he had found with his cousin earlier that day. In January, two Russian teenagers pulled the pin from a grenade so that they could take a picture with it. The grenade exploded and the teenagers died. The phone and the selfie itself somehow survived the explosion, however, perhaps as a reminder for the rest of us to exercise our common sense and prioritize safety over social media fame. I know I probably shouldn’t laugh but I can’t help it with the extreme selfies. I just can’t understand why anyone would risk their life for a selfie, it’s absolutely ridiculous. Just me and trees, the only selfies one can take in the jungles 😉 Crazy stuff here.